Ah that was a good sleep. Wow – it’s 5:36am. I’ve had a massive lie-in! I could do with a stretch now though. I wonder if my mam has filled up my bouncy castle with wee? Yes she has! Brilliant! She’s ruined my fun again. I was having a bounce on my mam’s bladder but she always empties it as soon as I do this each morning. Spoil sport. She’s up now. I’ll let her get on with her day and strike when she least expects it. I can hear my dad. Sounds like he’s moaning again. He keeps asking “How long til half-term?” Maybe I should get him a calendar for Father’s Day, then he’ll be able to work it out for himself. Time for my daily tai chi session. Just a few gentle movements and stretches. I’m getting good now – I can even push out, but people think it’s a bit weird that they can see my limbs. My morning nap was great and now I’m looking forward to lunchtime. I wonder if she’s forgotten? I’ll just give her a few gentle nudges. Lunch! 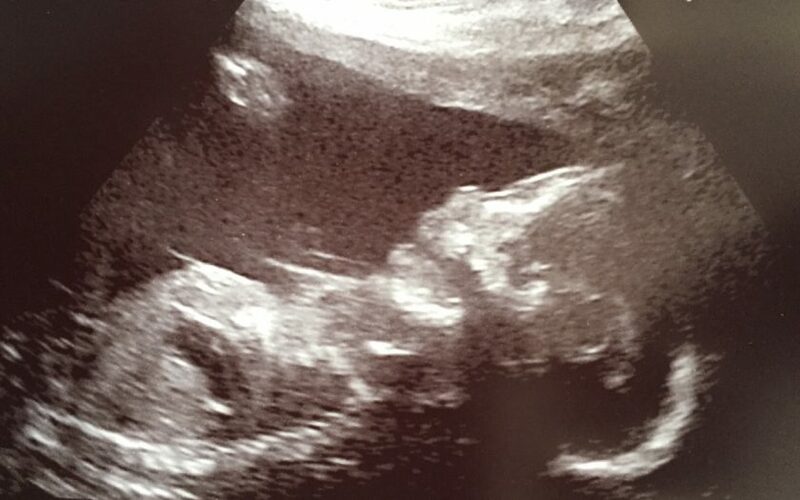 It’s about time – I was so hungry that I considered eating my own umbilical cord! Ah she’s having a cold Diet Coke with her lunch today. I can’t get enough of that fizzing noise! Heat, silence and a glimmer of some soft lighting. She must have driven home from work while I was having my nap. I’ll just wait until she’s sat down before I have a little stretch. Today I’m hoping that I’m big enough to be able to kick mammy’s ribs. I’ve been practising! My dad’s home now. I always like to just float around and don’t move when I can feel the heat from his hand. I think he has a funny accent, it’s not like everyone else who lives around here. He keeps singing to me, hoping that I’ll dance along to his musical tastes. But I’m no fan of Westlife. I prefer to go crazy when I hear Nirvana, which pleases my mam. Oh it seems that she’s just got into bed. Disco time for me! We love feeling our baby moving and I feel so lucky to have been able to feel the movements from the outside since 19 weeks. it’s amazing how well we know the routine that he/she is in, but we also know that if the movements slow down or stop altogether, this could be a sign that our baby is in distress. 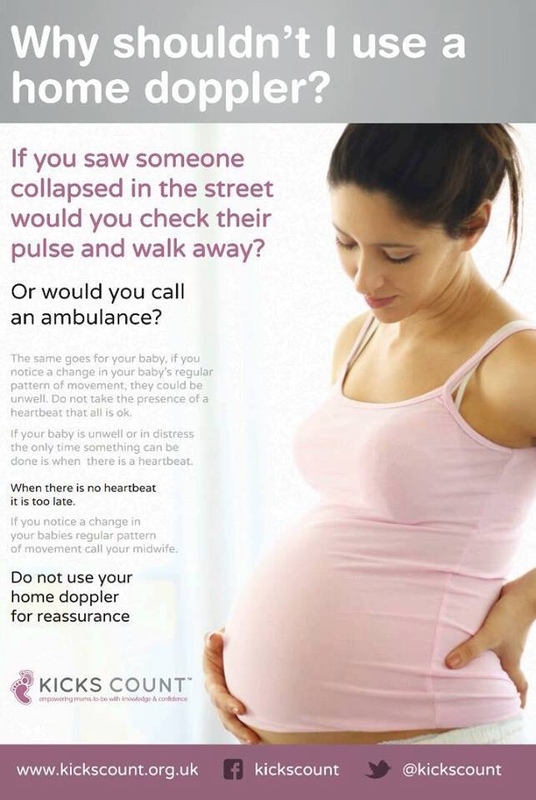 Kicks Count does some fantastic work around raising awareness of foetal movement and has undoubtedly helped to save many babies’ lives over the years. They also have a brilliant and completely necessary campaign to ban the sale of home dopplers. Click here to go to their website to find out more.